Endeavour – the popular prequel to Inspector Morse – returns to ITV Choice (DStv 123) for a sixth season on Wednesday, February 13, 2019, at 20h00, within days of its broadcast in the UK. 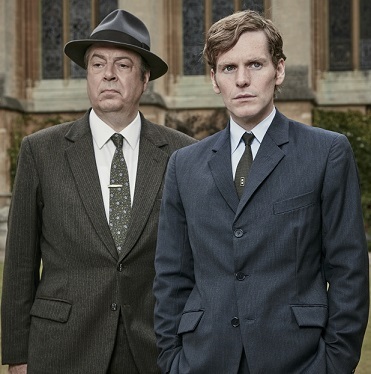 The four-part series stars Shaun Evans, who has won the hearts and minds of critics and viewers alike with his portrayal of the young Morse, while acclaimed stage and screen actor Roger Allam returns as Endeavour’s senior officer, Detective Inspector Fred Thursday. Following the dissolution of Oxford City Police and the merging with Thames Valley Constabulary at the end of the last series, the latest instalment is set in 1969 and picks up with the team dispersed and working in new roles. However, despite their separation, the tragic murder of DC George Fancy still hangs over them with the case remaining unresolved. While reprising his role as Endeavour Morse, Evans will also be putting his directorial mark on the show, heading behind the camera for the second feature-length film in the series. Evans’ character will similarly be trialling pastures new, with Morse having started a new role as a uniformed officer at the Woodstock police department and embracing the fashion of the period by growing a moustache. With their new positions also come new colleagues and responsibilities. Thursday must adjust to working with new boss DI Ronnie Box played by Simon Harrison and junior DS Alan Jago played by Richard Riddell. Meanwhile, Joan has settled back in Oxford and is training to work in social services under the mentor of new manager Viv Wall played by Alison Newman. Each story in the highly-anticipated sixth series will once again be written by series creator Russell Lewis who has penned each of the 23 screenplays to date. Endeavour was recently voted the fourth greatest British crime drama in a UK poll.